"I chose to do this dinner cruise rather than the Eiffel Tower & I am glad I did. The food was excellent, the service was exemplary. This event is highly reccommended." When visiting Paris a cruise down the Seine river is one of the best way to see and enjoy this beautiful city. 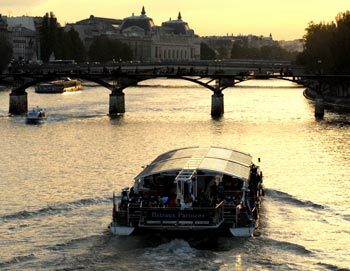 Here you can find Hop On / Hop Off Sightseeing cruises, lunch cruises or what about a romantic dinner cruise in paris? 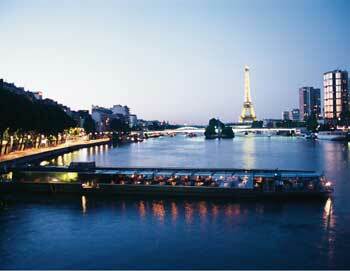 You can find all the options here and book the cruise in paris that suits you best. 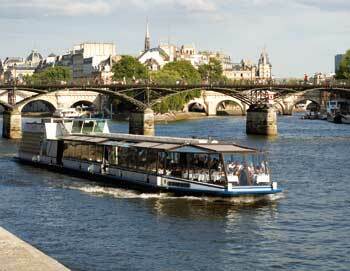 Explore Paris with Hop-On Hop-Off sightseeing cruise on the Seine. With 9 centrally located stops you can get visit all of the major sights at your own pace. You just hop on and off as you like in 24 or 48 hours. Book tickets to ParisMagique Sightseeing Cruise and see the best of Paris by boat. All the historic sites from a comfortable boat. Book tickets to ParisMagique Sightseeing Cruise here! 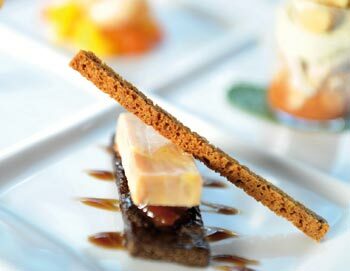 Try the ultimate dinner experience in Paris on a cruise on the Seine! This VIP dinner cruise is one of our best-selling tours, and that's no without reason. Great food and amazing ambiance! Make sure to prebook your tickets to this popular dinner cruise from home! Make sure you book your dinner cruise tickets from home and prepare yourself of a night in the name of romance. Enjoy a lovely traditional French dinner as the sun is setting over Paris. Enjoy a lovely Parisian lunch on the Seine on this lunch cruise. Experience some of the French cuisine, while you sit and enjoy Paris' incredible buildings and architecture pass you by. Enjoy a lovely dinner at the 1st floor of The Eiffel Tower in Paris, followed by a scenic evening cruise down the Seine. We definitely know why it's one of our most popular tours in Paris.